What’s in a taillight? 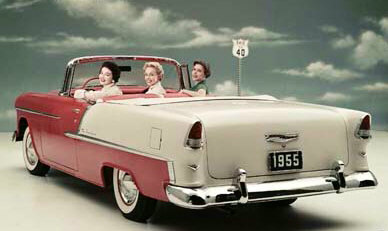 When Chevy rolled out its iconic 1955 models, it put the gasoline filler in the left taillight. Over 50 years later, Tesla is borrowing that unique feature: the company’s Model S electric car has its socket in the left taillight. Both these cars represent the design of their times, and they couldn’t be more different. The ’55 Chevy (and it’s 1956 and 1957 “Tri-Five” siblings) was inspired by the hot technologies of its day: jets and rockets. Its tail fins were inspired by the tail booms of a World War II P-38 Lightning, and with their glowing red taillights, they look like rocket motors. It also has plenty of chrome because, in the 1950s, people thought everything in the future would be chromed. The Tesla is also inspired by the technology of its day: computers, tablets, and smart phones. It’s powered by laptop batteries, so the Model S has the same minimal lines as a digital device; it’s definitely modern, but not overly elaborate. Americans today are more interested in social media than space exploration, which is why the interior is designed around the largest touch screen available in a car. The Model S certainly proves that electric cars aren’t for nerds, that they can be just as stylish and luxurious as their petrol-powered counterparts. However, it doesn’t light my fire the way a ’55-’57 Chevy does. Why? It’s all about the inspiration. Trying to make a car look like a jet fighter is a great idea because jet fighters look cool. Tablets and smart phones do look sleek and modern, but they’re not much to go on when designing something more substantial, like a car. The promise of space travel, cheap transcontinental jet flight, and atomic power never really played out, but least that technology looked cool. You can’t say that about today’s technology, even if it is more efficient and more useful. The 1955 Chevrolet is a classic car partly because of the optimistic image it invoked. 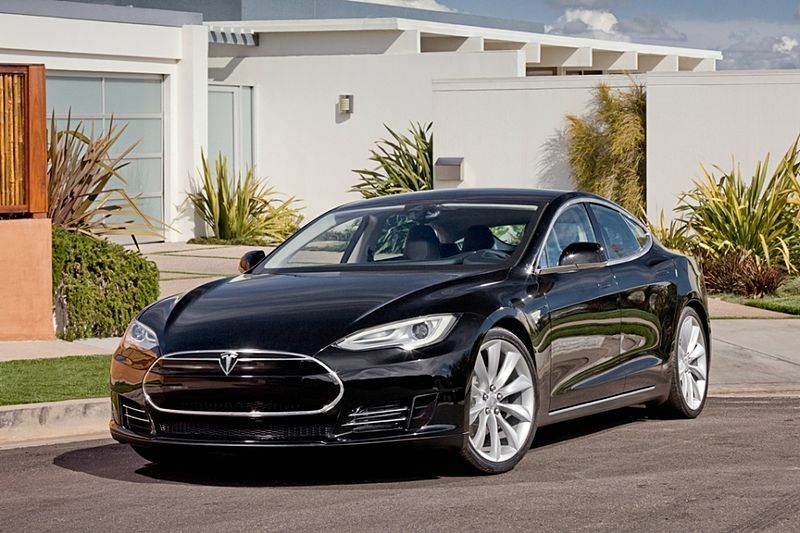 The Model S will certainly go down in history as an important car, but will it be a classic? Only time will tell. The best part of summer? People bring their cool cars out of hibernation. I found this beauty, a 1961 Chevy Bel Air two-door, at the local beach. Most people know the “Tri-Five” (1955, 1956, and 1957) Bel Airs, which are probably the most iconic American cars ever produced. Chevy continued using the name as one of several trim levels on its full-size cars until 1976. 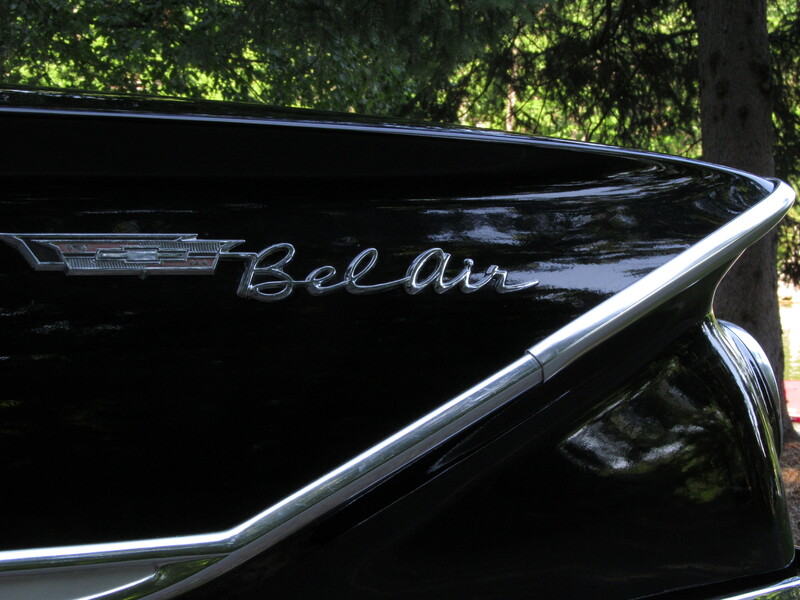 The Bel Air was all new for 1961, even though it had undergone a complete redesign just two years earlier. Cars were the iPhones of the 1950s and ‘60s; companies were always refreshing them to encourage people to trade their “old” ones in. The ’61 full-size Chevys were the first cars designed under the influence of Bill Mitchell, who went on to design the Buick Riviera and ’63-’67 Corvette Stingray. 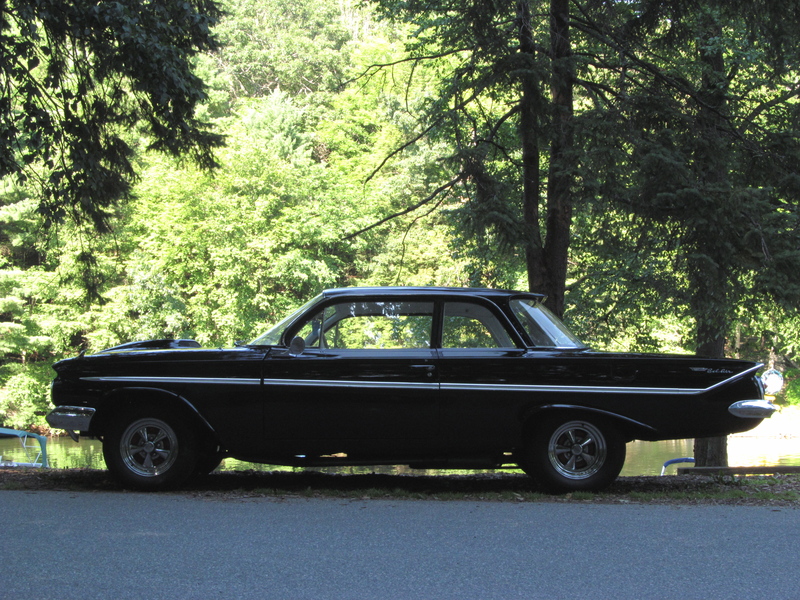 In 1961, the Bel Air was the midlevel model; it was more expensive than a Biscayne, but cheaper than an Impala. A base six-cylinder two-door sedan cost $2,384, while a loaded V8 “sport hardtop sedan” cost $2,661. The most powerful engine available on the ’61 Bel Air was a 348-cubic inch V8 with up to 350 horsepower. Judging by this car’s hood scoop and jacked-up stance, it probably has more power under the hood. The phrase “they don’t make ‘em like they used to” comes up a lot when discussing old American cars. This beast is definitely cooler than any new Impala or Malibu, but it was also made in a time when people weren’t expected to survive crashes. None of that really matters, though. This is a cool American muscle car out on the sreet for everyone to enjoy. That’s all that really matters.